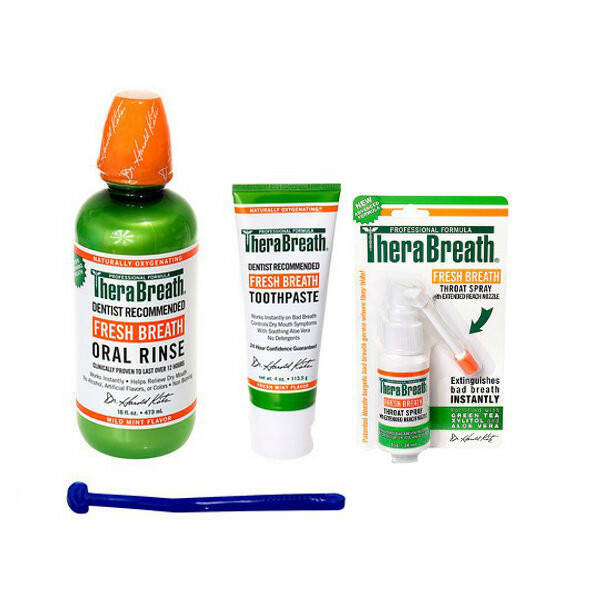 The Therabreath all in one pack combines the strongest formulas for beating the most severe bad breath, attacking the bacteria in the mouth, throat and nasal cavities ensuring that every possible area that bad breath bacteria thrive in, is taken care of. 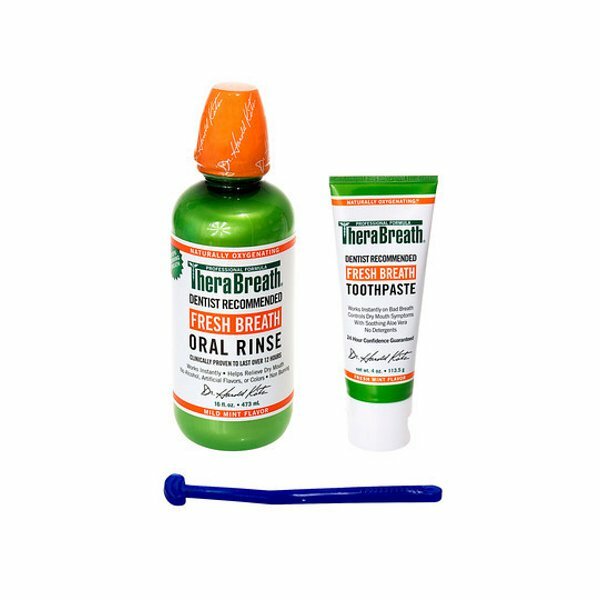 The Therabreath all in one pack is ideal for those who suffer from bad breath that emanates from the back of the tongue and throat. 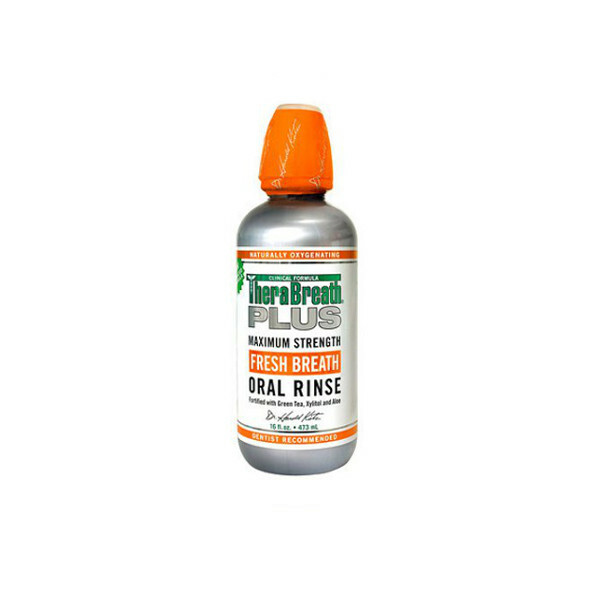 The ORIGINAL tooth gel and PLUS oral rinse keep your oral cavities well oxygenated and free from bad breath causing bacteria while the power drops and throat spray target bacteria on the tongue, sinuses, and throat specifically. 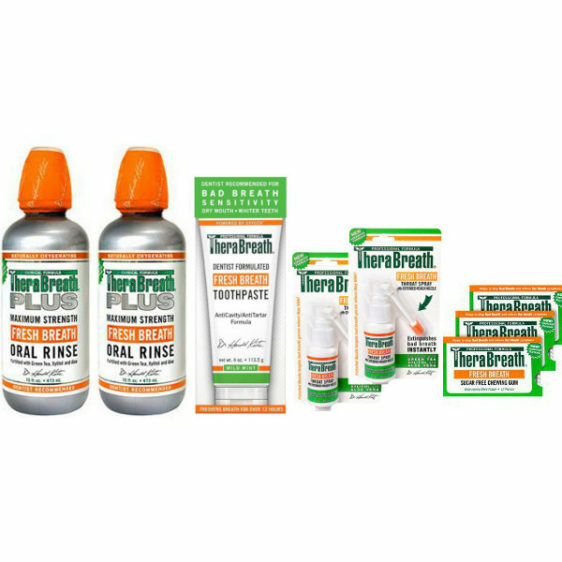 Using the tongue cleaner gently scrape your tongue and then Brush your teeth with Therabreath toothpaste and thereafter rinse with Therabreath oral rinse. Make sure that you follow the directions printed on the product packaging. Next squeeze 2 drops of the Therabreath PLUS sinus Drops into each nostril. Spray 2-3 squirts of the Therabreath Fresh Breath Throat Spray in your throat and on the back of your tongue whenever you taste a bitter metallic taste in your mouth. By doing this you will be neutralizing the anaerobic, sulphur producing bacteria. 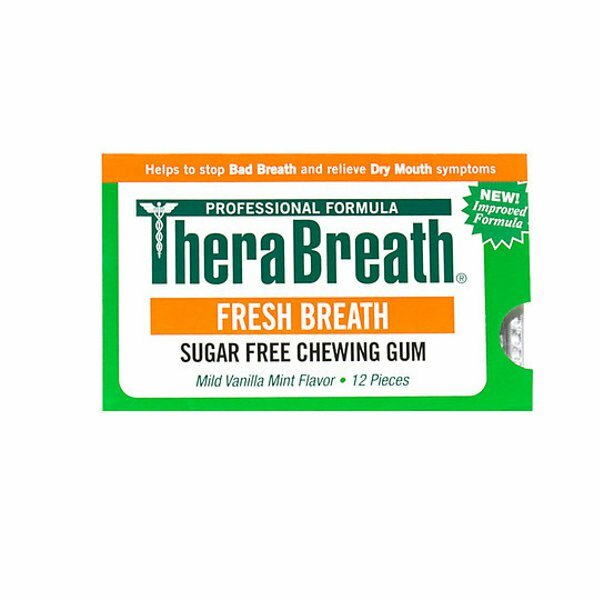 Lastly chew the Therabreath gum when needed. It stimulates the production of oxygen rich saliva which cleans the mouth. Note – we have only given you the basic directions for use. A more detailed manual is included in The Tonsil Stones Starter Kit.